Submit RSS is a must have tool for blog and website owners to manage and promote your RSS feeds as it has a built-in RSS Pinger utility which allows you to automatically send your RSS Feed to more than 100 best RSS Directories and Engines. Submit RSS is created to be easy understandable and have intuitive interface so it is a convenient tool for both newbie and professional. Nowadays submitting your RSS feed to RSS Directories and RSS Engines is extremely important as it informs RSS Directories and Engines about your RSS feed. So when you add new content on your blog or website the RSS Directories and RSS Engines automatically notice it and bring new readers and subscribers to your resource. Submit RSS feeds to over 140+ directories Fully Customizable, Accurate Results! 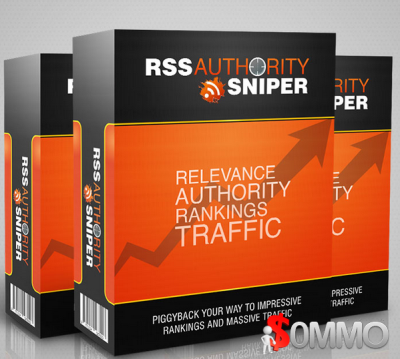 RSS Authority Sniper is the content marketer and blogger’s solution to generating REAL human traffic to a blog, website, or affiliate site. !!! The first truly automated website promotion tool has just gotten a whole lot better !!! No Hands SEO is not just another "automated" tool that requires hours of setup or baby sitting to use or costs an arm and a leg every month. No Hands SEO is the only tool equipped to take your websites from not indexed to ranking on total auto pilot. With just a few minutes setup you can have your website indexed, backlink all inner pages, promote RSS feeds, submit sitemaps, create tiered profiles and much more on absolute auto-pilot. The best thing about No Hands SEO is that once you have your profiles input all you need to do is hit the start button and you can leave it running indefinitely. In the background it will constantly search for new targets and post backlinks to more than 80 platforms from a variety of platform types, getting your websites indexed incredibly quickly and increasing visitors to your website. On top of all of this automation you get automatic link checking and pinging / indexing to ensure all of the created link juice is maximised.